For gardeners who want to extend their growing season, especially those living in the northern part of the country, a greenhouse can be the answer to their problems. This small glass building gives you the ability to control the environment, allowing you to grow plants that might otherwise take months to begin sprouting. Of all the types of greenhouse you can build, a lean-to style can be the best use of your space. What is a lean-to greenhouse? Also known as a wall greenhouse, a lean-to greenhouse design takes advantage of an existing building, usually the house, by using it as one of the walls in its construction. 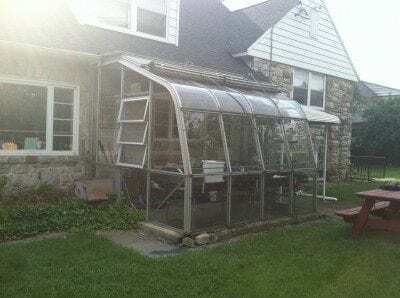 Usually built on the east or south side of a house, a lean-to greenhouse extends out from a building, trapping in a small bit of perfect growing environment, despite the weather outside. 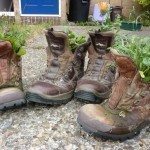 You can build your own lean-to greenhouse very frugally using found or salvaged materials, or spend more money to purchase a ready-made kit. The sizes vary, depending on your gardening needs, and can extend the entire length of the house. Consider your planting needs when coming up with ideas for a wall greenhouse. Starting dozens of tomatoes, peppers and squash early in the season every year might call for a southern exposure to capture as much light as possible, but if you’re going to use the space to grow and develop strains of orchids, a northern exposure is what you’ll be looking for. 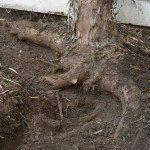 Consider how much planting room you have outdoors when you plan the amount of floor space you need. Lean-to greenhouse plants don’t all have to be those destined for the garden later in the year. Many greenhouses are home to plants that will never leave their perfect environment. Consider using a portion of the greenhouse for seating, just to enjoy the constant tropical ambiance. Make the roof of the greenhouse at least 10 feet tall. This will give a nice airy feeling to the space, as well as allowing you to grow larger plants such as orange and palm trees. Don’t fall into the temptation of making the entire roof of glass. 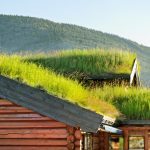 All plants need protection sometime, and a solid roof with occasional panes of glass or skylight bubbles give enough sunlight without burning out the plants in the summer and freezing them in the winter. Check with the local building department before you begin construction on a lean-to greenhouse. There may be different rules, depending on whether you have a concrete or cement floor, and depending on the size of the construction. Pull any permits needed before you begin to build.